Short description: St. Anna Roman Catholic Church of Berzgale was built in 1770 and sanctified in 1776. The building is an example of Barogue style with a woodcarved altar and two pictures of Virgin Mary. The organ is placed on the first floor of the church. It was made in Vilnius in 1891 by O.Ostromejcks. Short description: Holy Jesus Heart Roman Catholic Church of Bikova (Gaigalava) was built in 1825. Enjoy the Gothic forms and agricultural design of the church. The church and the altar are decorated with the icons of Zebedee sons – James and John (the apostles of Jesus) and other saints. 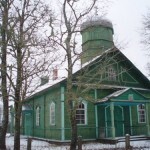 Short description: Bоrisova St. Nikolay Old-Believers Prayer House was built in the period of 1911 – 1921. The specific feature of the Prayer House is a brick building placed on the hill. The bell of the temple was specially ordered and brought from St. Petersburg. The bell has a very soft sound. In 2014 the prayer house was destroyed by the fire, now it is being restored. 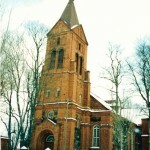 Short description: St. John the Baptist Roman Catholic Church of Ciskādi was built approximately in 1900 in the place of wooden church which was built in 1751. The brick building is an example of Romanesque style. The church has a specific icon called „Madonna and the Child”, the crucifix and the organ. Short description: Sts. Simon and Judas Roman Catholic Church of Dricāni was built in 1859 on the top of the hill. There is the wooden altar of the Holy Spirit, decorated with wood-carvings, wooden statuettes and the icon of Simon and Jude. 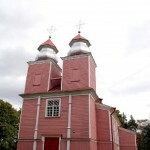 Short description: St. Virgin Mary Roman Catholic Church of Dukstigals was built in 1776. The wooden church was burned down in the World War I. 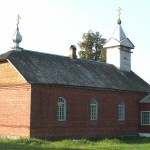 In 1827 the church was restored. Finally the building was restored in 1947. The church has the icon of Our Lady in the central altar and the statue of Our Lady. 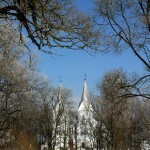 Short description: St. John the Baptist Roman Catholic Church of Feimaņi was built in 1756 - 1760. The church has a lot of significant national art objects (26). The floor in the church is of original built. The building has a tower with four bells, the brick and stone chapel. 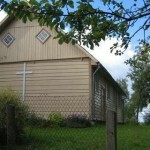 Short description: Guriliški Old-Believers Prayer House was built at the beginning of the 20th century. It has a bell that was made in 1939. 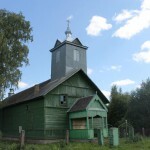 Short description: Ismeri Old-Believers Prayer House was built in 1912 by the donations of local people. The plan of the building was certified in Vitebsk. The construction lasted for 2 years. The parish of Ismeri exists since 1861.The prayer house has three wings- northen, southern and western. The doors of each wing are decorated by the cross. In 2002 the house was repaired. Short description: Kampišķi Old-Believers Prayer House was reconstructed in 1931 by architect V. Šervinskis. The building is very high and spacious; has two cells and a rectangular bell-tower with the cross on the top. The first prayer house was built here in 1791.